Recently, I found a blog whilst surfing. I love the creative eye of the photographer. 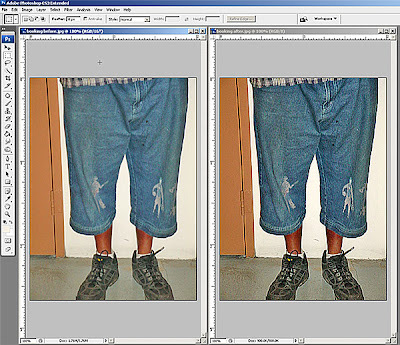 I just wanted to show how the workflow could help any image, not just forensics work. 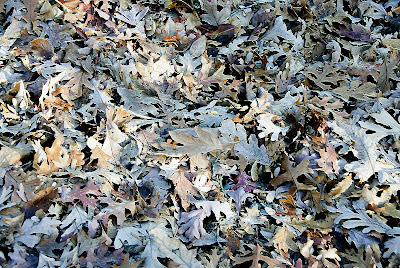 A nice pile of leaves as shot. Look at how much colour and detail is hidden under the colour cast. 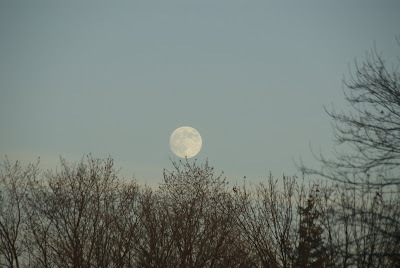 A nice shot of the moonrise. Again, look at the brilliant colour and contrast that was captured, but obscured by the cast. Good close-up - an interesting subject. Drive up the contrast and clear away the cast and an interesting subject gets some added drama. I sincerely hope that the photographer doesn't mind this quick showcase of her work. She's captured the essence and she's got a great eye - and all of that passion is trying to get out. You can feel it by just looking at her work. Graffiti seems to be everywhere. 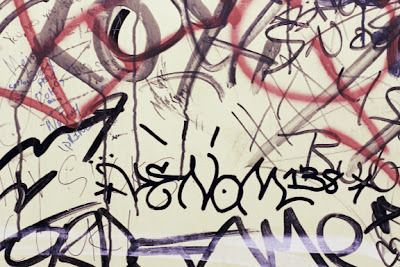 Graffiti costs cities hundreds of thousands of dollars per year to clean up. There has been a recent trend towards installing cameras to catch these vandals in the act. Once again, agencies are putting these cameras up, but little thought is being given to the fact that we're adding to our already heavy image processing workload. Hopefully, with today's exercise, we can make that load a little easier to bear. Meet 3D Color Deconvolution - a FREE plug-in available from 4N6Site.com. 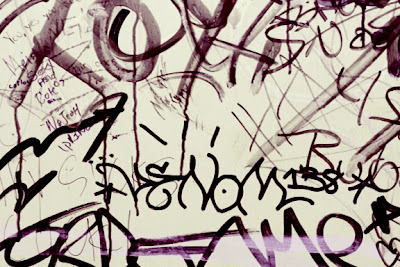 Grafitti comes in many different colours. Separating these colours (and the signature tags) can be a time consuming process. With 3D Color Deconvolution, the process is just a few minutes from start to finish. Starting with the image (shown at the top of the page), click on Filters>Forensic Filters>Color Deconvolution. This brings up the dialog box shown above. Select your Undesired Colour (red) and your Desired Colour (black) and your background colour (cream) with a right mouse click. Click on Apply and you are done. Walls with multiple colour layers can be approached with a multiple pass workflow. In our first step, we got rid of the red tag. Once the red tag is gone, there is still work to do. We can go after the brown areas to leave us with just the black tag "signature" that we are after. Again, click on Filters>Forensic Filters>Color Deconvolution to bring up the dialog box. Select your Undesired Colour (brown) and your Desired Colour (black) and your background colour (cream) with a right mouse click. Click on Apply and you are done. It's easier to see how this works by looking at the colour in three dimensions. 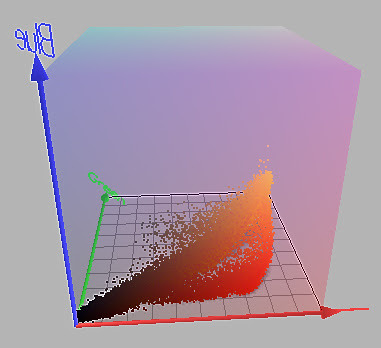 Thankfully, Couleur.org has a great tool for this that allows us to see the selected colour in a three dimensional colour cube. You can see (below) how our starting point looks in three dimensions. Notice the red, orange, and brown areas as they come away from the black (our target). Isolating colour in this way is the brilliance behind the Color Deconvolution plug-in. When we've finished, our image looks like this. We can then simply crop out the signature and add it to our files. 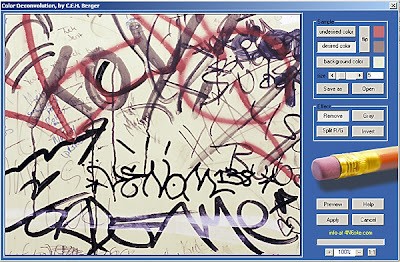 Stripped down to its essence, the signature is now a powerful tool in prosecuting taggers. With this, you can build a history of their work and the associated costs to clean up after them. You can also tie this information to GIS data to show the geographical scope of each tagger. 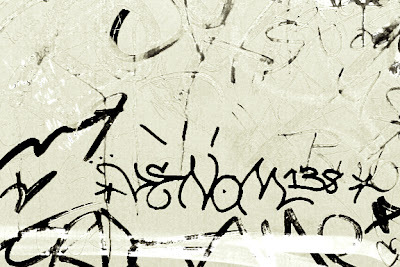 These two pieces, along with the time and date info from the camera, can aid in predicting where the tagger might strike next. To add to the value of this plug-in, it works great for Questioned Document Examiners too. More on that later. Back at the LEVA conference, we worked our forensic imaging work flow with great success. One of the many topics covered was Sharpening and how in our work flow, we're really sharpening in three passes. Our three pass sharpening consists of an initial focus correction, a content specific sharpening stage, and a final output sharpening. It is this content specific sharpening that is today's topic. Let's take a look at Rob's fishing trip photo again. Out of the camera, the image is a bit soft. We've taken some initial steps to mitigate the colour cast and remove the noise. Now, we want to do a touch of edge sharpening to really make this image pop out of the screen. This is where EasySharp really stands out. The what of this step has already been defined by our work flow. We want to do content specific sharpening. The most efficient way to do this, the how, is to employ edge sharpening. Edge sharpening, however, can be a tiresome process. Creating edge masks is its own art form and takes some practice. Luckily for us, there is EasySharp. With EasySharp, you can achieve the benefits of edge sharpening, the how, without the effort. Launch the EasySharp dialog box by clicking Filter>Pixel Vistas>EasySharp. Make sure to check the boxes marked Preview and Edges. In the beginning, you can select Auto from the Select Edges drop down menu. You can also choose More or Less, which add or subtract from the auto selection. With the preview activated, you can see the edge mask being created right before your eyes. For total control, select Manual. 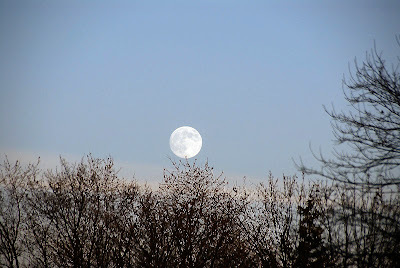 Each image will require different settings under this mode. Use the preview and adjust the Amount and Radius sliders until your mask is perfect. Use the Lighter/Darker slider to drive the white/black edges farther away from each other. Here comes the fun part, the why. 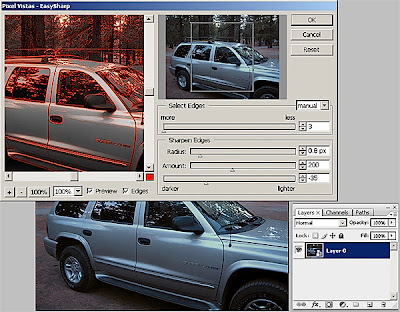 Instead of creating and using edge masks, EasySharp "uses an edge-preserving blur filter to extract the edge component of an image. 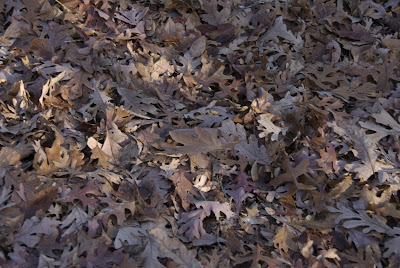 This edge component is then sharpened and recombined with the detail component, resulting in an image which has been selectively sharpened only on its edges. By varying the parameters of the edge-preserving operation, you can easily choose the strength of the edges which are selected for sharpening." This selectivity is the essence of content specific sharpening. EasySharpe makes that selectivity simple and fast. Adding to the fun, EasySharp can be used as a smart filter. 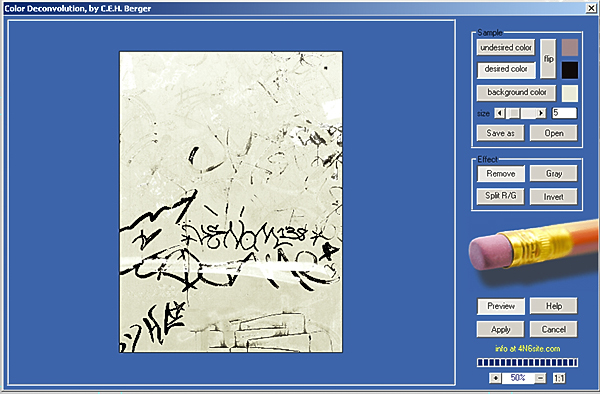 It supports 16bpc images and even works in the LAB colour space. If you are used to using the Unsharp Mask filter, EasySharpe is an easy to use and inexpensive alternative which gives you surprising results. Best of all, you can try EasySharp for yourself for free with their 30 day time limited trial. Once you've used it, you can easily justify the $35 expense to make it yours. Our sources have told us that the UK's Home Office Scientific Development Branch have recently released an update to their 2002 Digital Imaging Procedure. This new release (58/07) makes some significant revisions. These include a recognition that police services may wish to store their image data on a secure server instead of CD or DVD (write once media) as well as an expansion of the types of available devices for capture and storage of images. "It has to be recognised that digital images are not necessarily better than conventional ones (Pg. 5)." "All compression algorithms remove data from the file and some are more effective than others at reconstruction of the data for replay. Generally, the greater the compression ratio, the more seriously affected is the replay (Pg. 6)." "Image processing cannot make up for inadequate data (Pg. 6)." "The generation of the secure copy should be carried out as soon as possible after the capture to reduce the time and opportunity for the accidental or malicious alteration to images (Pg. 16)." "All images should be presented so that evidential content is not compromised. Where possible, images should be presented in their native or original format (Pg. 33)." "It should be understood that images may look different depending on the equipment used. In particular, images viewed on different screens may appear different from one another. An accurate replay facility should be provided wherever possible (Pg. 33)." and ... the flow chart on page 36 is priceless. All in all, an outstanding piece of work from an agency dedicated to helping make our lives a bit easier. For those who are looking to standardise their procedures and are looking for materials to help, the HOSDB's web site offers a wealth of information. Welcome back to our incredibly noisy image. Today we'll look at a semi-destructive way to remove colour noise. I say semi-destructive because even though we are using a "painting tool," the content and context remains unchanged. 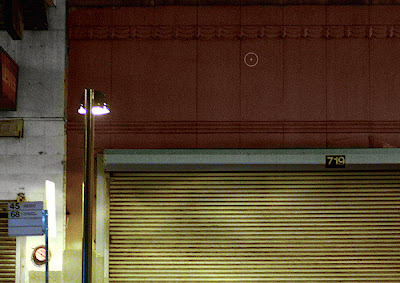 Working from a layer copy and hiding the original, we're simply removing the noise in this image the easy way. 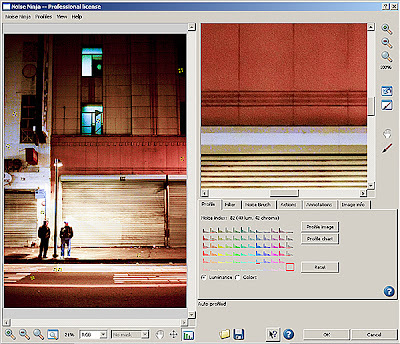 Introduced in Photoshop CS, the Color Replacement tool can be used to remove digital noise from images. Paint away noise? Yes. Colour noise ... those red, blue, and green specks in our images. Noise is common in low light situations, like our noisy image. 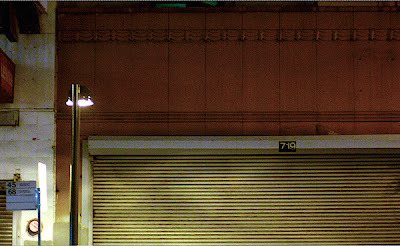 But noise can happen in any image. Let's take a look at this simple technique. Start with the Eyedropper tool. In the Options Bar, set the tool to sample a five-pixel by five-pixel area. Click in the area that you'll be fixing to select that color as the foreground color. We're starting with the red masonry and then moving to the dirty white marble. Every time you move to an area with a different major colour, use the Eyedropper tool to select that colour. Once you've selected your work area and your colour, select the Color Replacement tool. In the Options Bar, set Sampling to Continuous, Limits to Find Edges, and a Tolerance of about 30%. Then simply paint away the noise. Notice how the detail and luminosity is preserved as you paint away the noise. Click on each picture to compare the before and after shots. In ours, that orangy yellow noise is gone from the white marble and the blue noise is gone from the red areas. We've also managed to get rid of the noise in the roll-up doors' sill. Try this one for yourself and watch the noise melt away. I give over 2 dozen presentations per year. For the most part, I utilize Microsoft's PowerPoint as a visual aid. PowerPoint can be a great tool, if used properly. Fortunately, there is help for those who are PowerPoint shy. Cliff Atkinson's outstanding work has recently been updated for Office 2007. If you are new to presenting, this is a must read. If you've been using PowerPoint for some time, this will definitely shock and amaze you. Find out why it matters what you put on your slide's headlines. Find out the importance of the first five slides of your presentation. Learn to be an effective and engaging presenter. Use PowerPoint to help you tell your story. Don't let PowerPoint try to tell your story for you (it just won't work). Forensics is the art of debate and oration. It is important that you, the presenter, tell your story. Your audience cannot pay attention to you and read your endless supply of bullet points. Most people will read the bullet points and tune you out. Learn how to fix this problem quite easily in Cliff Atkinson's book. This on is on my must have list. Click here to get yours today. There are a bunch of news reports of various agencies switching to digital CCTV to monitor vulnerable areas. Many of us get the weekly and monthly government magazines as well as the daily news papers. Notice as you read the stories that they only really talk about monitoring activities. Very seldom do they talk about identification of specific individuals as their goal. These are two very specific technically challenging activities that are not necessarily supported by the same sets of technology. As food for thought this weekend, identify the CCTV installations within your own agencies. See if you can identify their purpose; monitor, recognize, or identify. Would you know how to tell the difference? 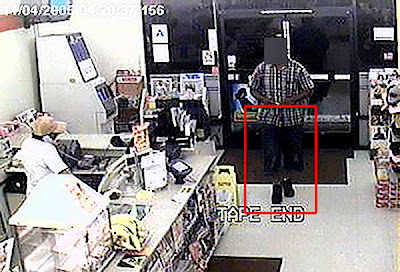 If your agency's CCTV, which was designed to monitor a large area, captured footage of a crime; would you be comfortable using the images for identification purposes? How would you approach the task of clarifying the images for use in your agency's investigation? Just some food for thought. For more information on a CCTV system that IS designed to identify individuals and objects, click here. Have a great weekend. OQO Model 02 On Sale! Here are a couple of great deals on the OQO Model 02. 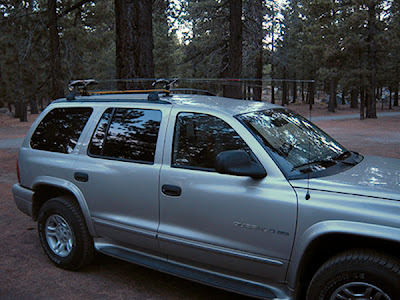 The good folks over at OQO were kind enough to extend this offer to the readers of this blog. (1) Buy an OQO model 02 computer and get a FREE holiday pack (a $267 value). Pack includes a double capacity battery, Stronghold metal case, and battery charger adapter. Save $150 off the purchase of an OQO model 02. Whereas it is the duty of all Nations to acknowledge the providence of Almighty God, to obey his will, to be grateful for his benefits, and humbly to implore his protection and favor -- and whereas both Houses of Congress have by their joint Committee requested me "to recommend to the People of the United States a day of public thanksgiving and prayer to be observed by acknowledging with grateful hearts the many signal favors of Almighty God especially by affording them an opportunity peaceably to establish a form of government for their safety and happiness." Now therefore I do recommend and assign Thursday the 26th day of November next to be devoted by the People of these States to the service of that great and glorious Being, who is the beneficent Author of all the good that was, that is, or that will be -- That we may then all unite in rendering unto him our sincere and humble thanks -- for his kind care and protection of the People of this Country previous to their becoming a Nation -- for the signal and manifold mercies, and the favorable interpositions of his Providence which we experienced in the tranquility, union, and plenty, which we have since enjoyed -- for the peaceable and rational manner, in which we have been enabled to establish constitutions of government for our safety and happiness, and particularly the national One now lately instituted -- for the civil and religious liberty with which we are blessed; and the means we have of acquiring and diffusing useful knowledge; and in general for all the great and various favors which he hath been pleased to confer upon us. And also that we may then unite in most humbly offering our prayers and supplications to the great Lord and Ruler of Nations and beseech him to pardon our national and other transgressions -- to enable us all, whether in public or private stations, to perform our several and relative duties properly and punctually -- to render our national government a blessing to all the people, by constantly being a Government of wise, just, and constitutional laws, discreetly and faithfully executed and obeyed -- to protect and guide all Sovereigns and Nations (especially such as have shewn kindness onto us) and to bless them with good government, peace, and concord -- To promote the knowledge and practice of true religion and virtue, and the encrease of science among them and us -- and generally to grant unto all Mankind such a degree of temporal prosperity as he alone knows to be best. the third day of October in the year of our Lord 1789. Rush Limbaugh reads the Real Story of Thanksgiving. For those that attended the LEVA class in Calgary, you'll remember how easy Noise Ninja was to use on our noisy night shot. The good folks at Picture Code were gracious enough to let me put the demo installer on the class disc. If you were in Calgary and you didn't get a chance to install Noise Ninja, you'll want to before you work through this exercise. If you weren't in Calgary, click here to download a demo. For today, we are going to go with the quick way of using Noise Ninja. Next week, we'll get more in-depth with this outstanding plug-in. Click on Filter>Picture Code>Noise Ninja. This will bring up the Noise Ninja dialog box. Click on the Profile Image button on the Profile page. This will measure the noise in the image. Adjust the Luminance Strength slider on the Filter page until you like the results. Go to the Noise Brush page. 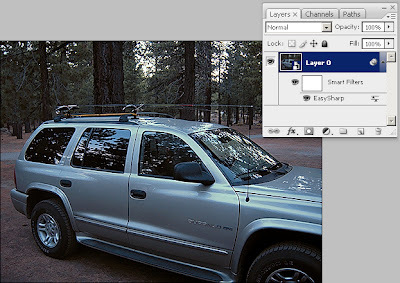 Paint with the brush tool in the Preview window to protect parts of the image from filtering. Press the OK button to filter the entire image. This procedure should yield reasonable results for many images. However, your work flow will probably be more productive and consistent if you learn to use more advanced features like camera profiles, automatic profile loading, and actions; which we'll go over next week. Bang for the buck factor is quite high with this plug-in; landing it on my Must Have List. A new preference to enable High Quality Preview has been added to Bridge's Preferences > Advanced panel. When enabled, the preference addresses the problem of a soft or blurry preview appearing in the Preview panel and in Slideshow mode. Data loss that could result from replacing a folder with another folder by the same name has been prevented. Issues that could cause Bridge to crash (for example, when encountering a PDF or AI file) have been corrected. A problem that could cause Bridge to lock up when using arrows to navigate has been fixed. XMP data is now handled correctly when added to CR2 files. A problem that could cause the Loupe tool not to be available after exiting from Slideshow mode has been corrected. Rapid clicks to select multiple files are no longer interpreted as a double-click, so unintended opening of multiple files is now reduced. Adobe Version Cue Server 3.1.0 update. These updates can be found via the Bridge Help>Updates menu. Click here to download the Bridge CS3 2.1.1 update from Adobe. This new version of the Camera Raw plug-in replaces the original Camera Raw plug-in that was installed with Adobe Creative Suite 3, Adobe Photoshop CS3, Adobe Photoshop Elements 5.0 and 6.0 and Premiere Elements 3.0 and 4.0 software. Read the installation instructions carefully. Incorrect installation will prevent Adobe Bridge and Camera Raw 4.3 from reading raw images correctly. Support for the following camera has been added in this update. Visit the Camera Raw page for a complete list of supported cameras. Click here to go to Adobe's download page and download Camera Raw 4.3 today. If you want to update your Camera Raw to Camera Raw 4.3 and the latest version of Adobe's Digital Negative Converter, click here. Want to avoid manual downloads? Set Bridge to automatically download updates for all of your Creative Suite applications. Although this book is primarily geared towards IT professionals, there is a lot here for image analysts. This book is all about expert witnesses. 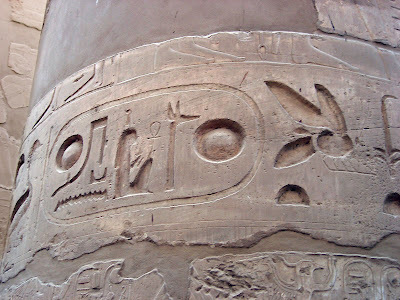 It is written in a style that is easily accessible to all knowledge levels. It is not a "legal rule book" as such. It is a very helpful guide for those who have never testified before a jury or in a hearing. Legal professionals who work with forensic experts can also benefit. Lawyers who hire experts can gain new insights into the concerns that technical experts have about becoming involved in litigation for the first time. Judges who must decide on the qualifications and methods of experts can consider how experienced experts think about these challenge rounds and how such challenges affect the willingness of the best and the brightest experts to enter the fray. Clients whose interests are affected by the performance of forensic experts can benefit. Clients who want to win at all costs can gain an understanding of why expert objectivity and credibility are often indistinguishable and why, when those qualities are combined with competence and experience, they most often lead to the best results. Risk managers can learn how the process of the trial team's brainstorming with the help of an accomplished expert and trial consultants can lead to an early, cost-effective, and equitable settlement with the other side or a more effective framing and presentation of the technical issues and evidence at trial. The book concludes with a thorough examination of the major legal cases under which we operate; including Frye and Daubert as well as those federal rules of evidence and procedure that contain provisions of special relevance to technical expert witnesses. From an examination of the "rules of the game" to a look at the use of visual aids to an examination of major cases to creating stories about complex technical issues, this book is a great resource for all of us. I've provided a link to this book in the side bar. Check it out at Amazon.com or your favourite retailer. I've reviewed iCorrect EditLab Pro 5.5.1 in a previous post. I absolutely love the easy interface and no-nonsense way these plug-ins work. If you've downloaded the trial or are using the trial from the LEVA disc, now is your chance to buy the plug-ins at a discount. PictoColor has announced their holiday sale. Receive 20% off the already low price of their plug-ins. I've been a fan of Gordon Ramsay for years. His BBC shows, Kitchen Nightmares and the F word, as well as his American version of Kitchen Nightmares and Hell's Kitchen have been set for "record all" on my cable's DVR - well ... since I've had a home DVR. Looking past the fact that he signed with Rangers as a young lad and I am a Celtic supporter, what can Gordon's unique style teach us about our Forensic Photoshop work flow? According to Denise Winterman of the BBC News Magazine, "He looks at each restaurant in isolation. He goes back to the basics and researches customers and competitors and, crucially, assess the capabilities of staff to produce excellent cuisine. He identifies a successful formula for each individual restaurant." So what can that teach us? Every unit has it's strengths and weaknesses. Each of us has a different set of equipment. Some work in Daubert states, some work in Fyre states. Some work in countries without a well established body of case law governing how this all works. But each of us has, within ourselves, the capability of becoming a master of our craft. Each of us, by focusing on the basics, can produce excellent, verifiable, repeatable results. "Ramsay excels at giving his staff a sense of the story in which they play an important part," says Professor Kim James from the Cranfield School of Management. You may work by yourself. You may be the only one in your state or province who does what you do. You are, however, not alone. By entering into this profession, by choosing to master this craft, you are part of a larger team. You have team mates all around the world. City police, county Sheriffs, state Troopers, regional labs, federal task forces; there are quite a lot of men and women working in our craft who can answer a question, advise on a case, or come and help you prepare for the trial of the century. You are not alone. Our story, in which you play an integral part, is often a life and death story. You and I help to see that justice is served and the innocent are protected. "He offers no bland vision statements but tries to inspire. He is generous in bringing people on and instructs the inexperienced," says Professor James. People are drawn to passion. Testimony delivered effectively and confidently will come from your inner passion. The passion comes from your vision and your love for what you do. When you are passionate, you will inspire those around you. Passion is infectious. As you learn and master your work flow, others will be drawn to you. Bring them in. Inspire them. Instruct them. Don't hold back. Dare them to become all that they can be. Challenge them to become better than you and better than themselves. In our work, a true masterpiece is not an exhibit or a conviction but the legacy of trained and skilled practitioners that we leave behind. Start now to find that one person who will replace you and help them to reach beyond their potential. In all of this, good communication skills are the key. Come back to your office tomorrow and play the roll of Gordon as he enters your shop for the first time. Answer these questions and be as brutally honest with yourself as Gordon would be if he were shouting at you. What is the potential of every single one of your employees? Who, or what, is getting in the way of progress? What three things would you change about yourself immediately to make the difference? What do you personally need to 'let go of' to make your shop more successful? What will you do today, immediately, to shake things up? Like Gordon, I am lucky enough to have travelled around the world, meeting some of the most amazing people; people who are at various levels of mastery over their tools. People, nevertheless, who are all engaged in the same craft. If you are reading this, you are certainly not alone. Get back to basics. Work the work flow. Reach out for help when necessary. Feel your passion level rise. Enjoy your life ... you and I are part of an incredible team. Today's topic is not necessarily a step-by-step or a how-to. Today's topic is about communication. To make my point, I will be using images from one of our less than stellar career criminals. Skippy (not his real name) decided to commit a series of robberies around town. Over the course of a few days, Skippy managed to rob six convenience stores; netting a total of about US$1,000. Ever the fashion conscious individual, Skippy decided to wear his favourite set of clothes whilst on his crime spree. Luckily for us, Skippy's clothes are rather distinctive. The image settings allowed for on this blog are not the greatest for reproducing small DVR files, so I've helped us out by drawing a red box around the area of interest (use the Marquee Tool to select the area, then apply a Stroke - Edit>Stroke of about 4 pixels, red colour, location = outside). There are some generalisations that we can make about Skippy's clothing. 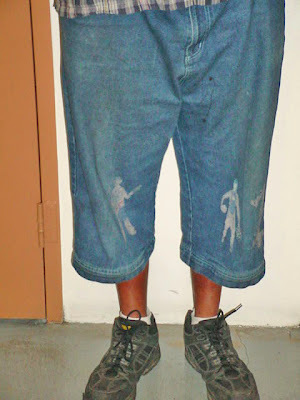 He is wearing what appears to be black high-top sneakers with white ankle length socks. His shorts come to about mid-calf length and there is a light/colour combination that is not consistent with a reflection and may indicate some sort of pattern or applied image. His tunic has a distinct colour pattern as well. Bear in mind that these are just generalisations - kind of like first impressions. This is where it gets silly. Skippy is arrested later that week in the same clothes he wore when he allegedly committed the crimes (no longer allegedly, he is currently a guest of our Correctional System). A quick thinking staff member in our booking area thinks (wisely) to snap a few pics of Skippy's rather distinctive outfit. These get placed in the case file (great example of non-verbal communication). Take a quick jump over to LEVA's site. You will find information on their next Comparison course. Photographic / Video Comparison focuses on the science of comparing known objects, vehicles, clothing and humans with CCTV images of questioned objects, vehicles, clothing and humans. So here we have booking photos of known objects and DCCTV evidence from the crime scene. Black high-top sneakers present in both scenes? Check. Ankle high white socks present in both scenes? Check. Blue calf length shorts present in both scenes? Check. Possible distinctive pattern to shorts present in both scenes? Check. Checked pattern tunic present in both scenes? Check. Now, there is much more to this as you will learn in the class. Suffice it to say, everyone in the process can benefit from a little forensic knowledge; the person who retrieved the DCCTV from the crime scene, the person who processed the DCCTV back in the police lab, the person who shot the booking photos, and the person who processed those booking photos for the case package. Everyone has a part to play; thus everyone can potentially benefit from proper training. So often, vital staff are left out of the training loop. When are are looking to spend those training dollars, we need to communicate this need effectively. to view the before and after shots on one screen. As far as processing the images from the crime scenes was concerned, they were fairly straight forward. Same goes with the booking photos. The forensic part comes at trial; when you are going to argue your results. You have come to your conclusion; the clothing in the scene and the booking photos is the same (pattern, stitching, colours, consistent ... etc). There is what you know and there is what you can prove. Proving it requires not only your imaging talents but also the forensic skills of oration and debate. When it comes to training, managers need to get adequate training for everyone involved in the process. If an employee is working with evidence, they are part of the process and need training. They need training on their tools and techniques as well as training on effective testimony. Many of us have written beautiful requests for training. If you are stuck and need some help, reach out to your friends at LEVA, or NATIA, or the IAI ... or send me a note. We are all here to help. The Adobe Photoshop 10.0.1 update addresses a number of issues discovered after Adobe Photoshop CS3 and Photoshop CS3 Extended (10.0) software were released. The Save for Web feature now includes an option to "Include XMP" (metadata) in the settings menu within the main Save for Web interface, making the existing capability easier to access. When using Save For Web with "Include XMP" enabled, all XMP data is now included in the optimized file. Click here to download the update.